Training Plan for the Week! 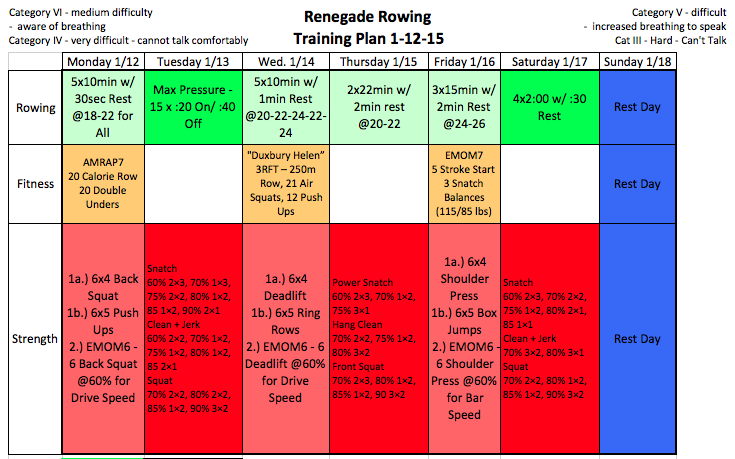 Here’s the Renegade Rowing Training Plan for the week. Have fun and attack it! 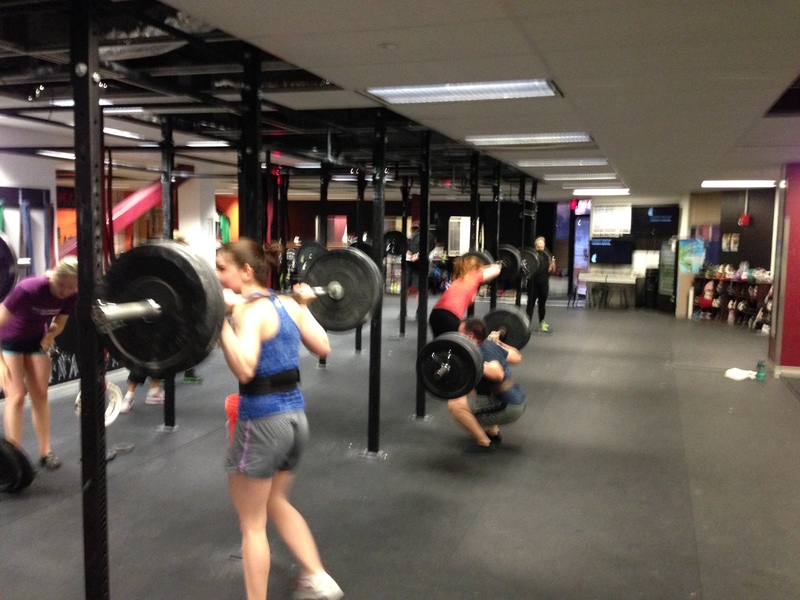 The focus of today is Strength, so be sure to get in the Strength WOD of 6×4 Back Squats. Be sure to superset 1a and 1b. The Push Ups should be as heavy as possible with good form and speed on the push. In part 2 be sure to be smooth and controlled on the way down and explosive on the way up. How fast can you move that bar? If time allows, choose the blocks that will help you improve as an athlete. If you have enough time for all three blocks then attack them all! Post your loads and experience to comments. This entry was posted in Fitness, Rowing, Strength and tagged endurance sports, exercise, functional movements, recruitment patterns, rowing, sports, Strength, Strength Training, training by Renegade Rowing. Bookmark the permalink.